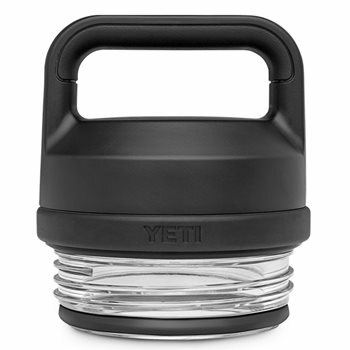 DESCRIPTION When you need to steal a sip without slowing down, get the YETI Rambler Bottle Chug Cap. It takes a quick half-twist of the Triplehaul Handle to open and then you’re good to go. The classic spout allows for speedy gulps, plus it’s shatter-resistant and dishwasher safe. Note: Chug Cap fits all Rambler Bottle sizes.